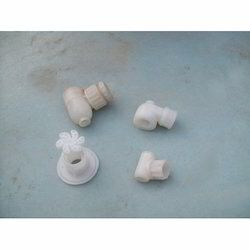 We are a leading Manufacturer of deck spray nozzle, water spray nozzle, flower nozzle and pvc nozzle from Ahmedabad, India. We are instrumental in engaged in offering Deck Spray Nozzle. The offered product is manufactured using premium quality raw material that is procured from reliable vendors of the market. Our spray nozzle is vastly used in AC plant, Gas Genset, plastic injection molding and die casting industries. The offered product can be purchased in vivid specifications as per ever-evolving needs of our esteemed clients. Our products are strictly tested on various parameters. Being an established organization of this industry, we are engaged in offering a qualitative range of Water Spray Nozzle . 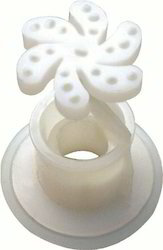 With the support of advanced industrial technology, we are involved in offering a premium quality Flower Nozzle. 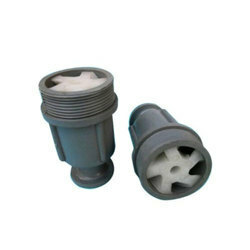 Leveraging on our vast industrial experience, we offer an extensive range of PVC Nozzle. This product is used in aluminum die casting, blow molding, chemical industry and PVC pipes plants. Our product is meticulously examined by quality experts in order to maintain its quality and finish. In addition to this, the offered fire nozzle can be easily installed easily and demanded in the domestic and international market.